57 Nuevo EK and a 08 Nuevo EK arrived this lunchtime, haven't seen anyone yet to windy to put out the ASOF flag, ran out of carbon poles and I forgot to bring my painters pole. burlingtonboaby wrote: 57 Nuevo EK and a 08 Nuevo EK arrived this lunchtime, haven't seen anyone yet to windy to put out the ASOF flag, ran out of carbon poles and I forgot to bring my painters pole. There should be another Nuevo in Whitby this afternoon, but at Broadings farm, not the holiday park. Can you see me waving the ASOF from across the glen ? At least you have brought the warmth with you. Hope you had a nice day on the steam train, Another Nuevo, 14 reg and a Pollensa , couldn't wave flag as we had a tag axle van blocking our line of sight. Have a nice holiday in Yorkshire . Yes had a great ride on the train and spent about an hour in the little museum in Pickering before returning on the train. 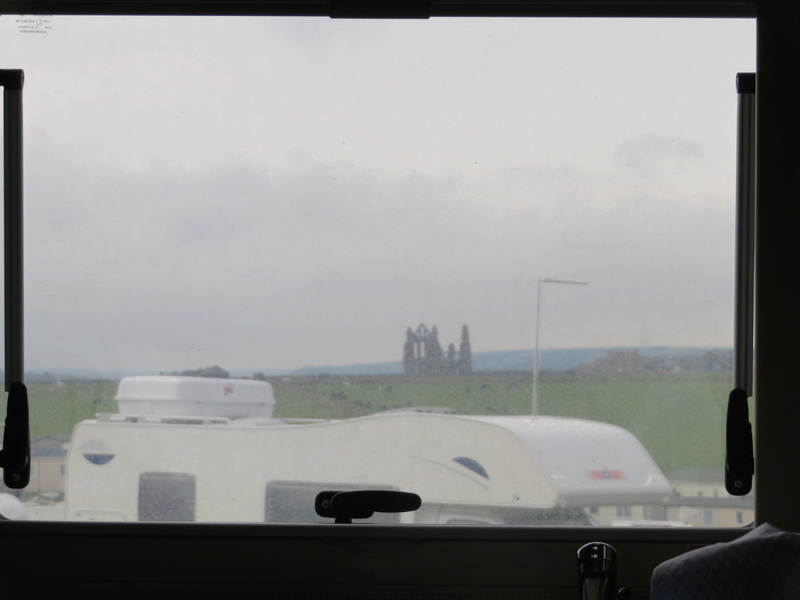 We had a yellow bus tour around Whitby and we could see Whitby Holiday Park from the top of the bus when we were at the Abbey. We are now there with the Abbey behind us and the sea to our left. And the wind giving us a nice rock. Returned to Bridlington via the Peugeot parts department to pick up a seat cable . Our kitchen window last night. Sadly we have left the area but will be back.